THE DATE WAS 3 JUNE 2007 and Ivory Coast had just defeated Madagascar 5-0 to qualify for the following year’s Africa Cup of Nations in Ghana. Goals from Saloman Kalou, Yaya Touré, Didier Drogba and an Arouna Koné brace sealed the Ivorians place at the top of the group, nine points from three games giving them an insurmountable total with just one round of fixtures left. The bigger story that night, though, was off the pitch. An intervention from Drogba had seen the match moved to Bouaké, Ivory Coast’s second largest city and the base for the northern, Muslim rebel forces that had been fighting the southern, Christian government-loyalists for the past five years. Troops from both sides watched the game together inside the sold-out stadium, with millions of Ivorians watching back home united in their support for Les Éléphants regardless of their tribal, religious or geographic loyalties. This is the remarkable tale of how a nation’s football team helped to calm ethnic tensions and bring about a peaceful resolution to a bloody and bitter civil war. Drogba was born in Abidjan, the country’s capital in the south, in March 1978. 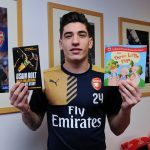 At the age of five, he left Ivory Coast for France, where he would spend three years living with his uncle Michael Goba, a professional footballer in the lower leagues. 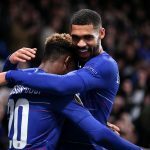 Drogba returned to his homeland a few months after his eighth birthday but was soon back in France when his parents lost their jobs and decided that young Didier would have better opportunities in Europe. The senior Drogbas soon made the same journey and, by 1993, the trio were living together on the outskirts of Paris. The country they left behind was in the midst of significant change. Since independence from France was attained in 1960, Ivory Coast had been led by charismatic president Félix Houphouët-Boigny, a former cocoa farmer who had served as a minister in the French government in the 1950s. Houphouët-Boigny’s strong leadership had kept ethnic tensions under the surface, and different groups were able to cohabit harmoniously in a country that grew to become one of the most prosperous on the continent. His death in 1993 threw the Ivory Coast into turmoil, however; having had their political, social and economic fortunes inextricably bound up with the personality of one man for 33 years, Ivorians suddenly faced a very uncertain future. Houphouët-Boigny’s death had left a power vacuum that needed to be filled as sporadic violence between northern and southern factions broke out in the mid-1990s. Henri Konan Bédié was chosen as Houphouët-Boigny’s successor and won re-election in 1995 against a weak and divided opposition, yet he lacked the aura and widespread support of his predecessor, leading him to rule Ivory Coast with a tighter grip. The country struggled to stay unified as it confronted the democratic process for the first time, the thousands of arrests and clashes between citizens and the military serving as evidence of the changing environment. When combined with the economic downturn that began in the 1980s, this political situation led to the increased affirmation of pure “Ivority” by nationalists from the south, a development exacerbated by Bédié himself. Twenty-six percent of Ivory Coast’s population in 1998 had been born abroad, and 56 percent of those were Burkinabé, the name given to those originating from Burkina Faso. Houphouët-Boigny had been extremely inclusive to such people, offering them citizenship in order to secure their political support and preclude any potential future uprising, yet many Ivorians were unhappy at such a policy and began to treat migrants or descendants thereof with increased hostility as the 1990s wore on. The Burkinabé suddenly found themselves treated as scapegoats for many of Ivory Coast’s problems, and their right to vote came under threat from nationalists and xenophobes. Most significantly, prominent northerner Alassane Ouattara was expelled from the presidential election of 2000 due to a hastily-enacted law that banned the participation of those whose parents had not been born in Ivory Coast; such an act was deliberately ethnically and regionally discriminatory, and led to riots across the country. The election was won by Laurent Gdagbo, a former history teacher from the south-west, who defeated incumbent Robert Guéï, Bédié’s replacement in office after the military coup d’état of December 1999. The exclusion of Ouattara was the major talking point, though, and one that would lead to a half-decade-long civil war that viciously split Ivory Coast in two. 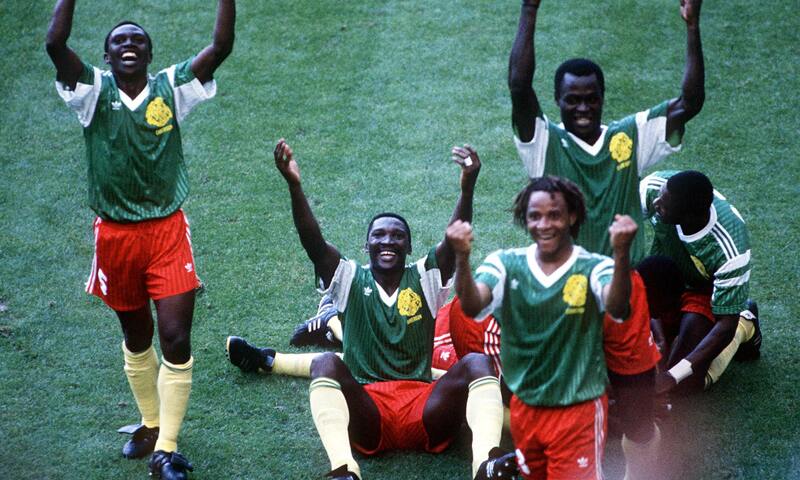 Ivorian football had gradually become stronger as Houphouët-Boigny’s premiership went on. The national Ligue 1 was founded immediately after independence in 1960, providing a professional structure within which talented players could be nurtured. Third place finishes were accomplished at the Africa Cup of Nations of 1965 and 1968, and Ivory Coast were widely considered to be the emerging up-and-comers of African football. Partly because of FIFA’s disproportionate allocation of places that discriminated against Africa in the 1960s, ‘70s and ‘80s, Ivory Coast did not even come close to reaching the World Cup until 1994. Les Éléphants had won their first Cup of Nations in Senegal in 1992 with a gifted team that contained a handful of players who played their domestic football in France – including Le Havre’s Joël Tiéhi, Youssouf Fofana of Monaco and Cannes’ Didier Otokoré – and stood a real chance of making their debut at FIFA’s showpiece event in the USA. In the end, Ivory Coast were unlucky to miss out, beaten to one of the three spots reserved for Africa on goals scored. They were also unable to retain the continental prize in 1994, finishing third in a Cup of Nations won by the Nigerians in Tunisia. Nevertheless, it was considered conventional wisdom that Ivory Coast were a country on the rise. President Gbagbo was overseas in Italy when the civil unrest developed into a larger conflict in September 2002. Northern rebels, unhappy at the fate of their presidential candidate Ouattara and the gradual increase in oppression from nationalist and government forces in the south, captured and secured many towns and cities in the north of the country. The rebels – who called themselves the New Forces – proceeded to try to take Abidjan but were denied by the national army and French troops that had been deployed by Paris to restore order. Violence continued for the next couple of years, an incessant cycle of ceasefire, failed peace agreements and continued combat playing out until late 2004. Armistice talks had taken place in October 2002 and January and July of 2003, but no permanent resolution had been found and the nation continued to be gripped by riots, demonstrations and armed struggle. Much of the fighting had stopped by the end of 2004, but Ivory Coast was still torn in two: the New Forces controlled the north, basing themselves in Bouaké, while the government and their supporters operated from the capital Abidjan. Checkpoints on the roads between north and south remained, soldiers from either side searching vehicles that passed and sometimes demanding bribes before entry was permitted. These internal borders were by now firmly entrenched, and Ivory Coast appeared to be a pair of countries rather than a single, united sovereign state. 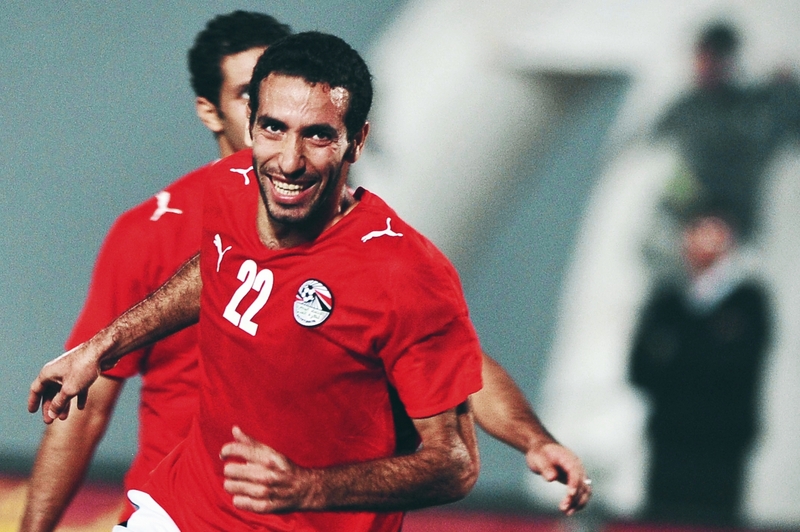 The national team, meanwhile, was attempting to reach its first World Cup. Ivory Coast surprisingly missed out on the Cup of Nations in 2004 for the first time since 1976, but there was still reason to be confident: Henri Michel was a well-regarded coach who had managed France, Cameroon, Morocco and Tunisia, while many Ivorians were plying their trade in top European leagues, such as Drogba at Chelsea, Kolo Touré and Emmanuel Eboué at Arsenal, Aruna Dindane at Lens and Arthur Boka at Strasbourg. A 3-1 win in Sudan combined with Cameroon’s failure to beat Egypt ensured Les Éléphants’ place in Germany for the 2006 tournament. The players were obviously thrilled at their historic achievement, but qualification was not their only focus that night. When an Ivorian television crew entered the changing room post-match and Drogba, a national hero and the spearhead of the team, requested a microphone, football was suddenly far from everyone’s minds. At that point, Drogba and his team-mates fell to the floor, maintaining steady eye contact with the camera. “Forgive. Forgive. Forgive. The one country in Africa with so many riches must not descend into war. Please lay down your weapons. Hold elections. Everything will be better”. It would be naive to think that football can solve deep-seated ethnic and cultural tensions, but Drogba’s words undeniably had an impact. The Ivory Coast team was perhaps the only truly national and representative institution of the country – Drogba, from the south, gave his spontaneous speech with the arm of Kolo Touré, a northern Muslim, wrapped around his shoulder – and was thus able to play a unique role in appealing to both sides of the divide. 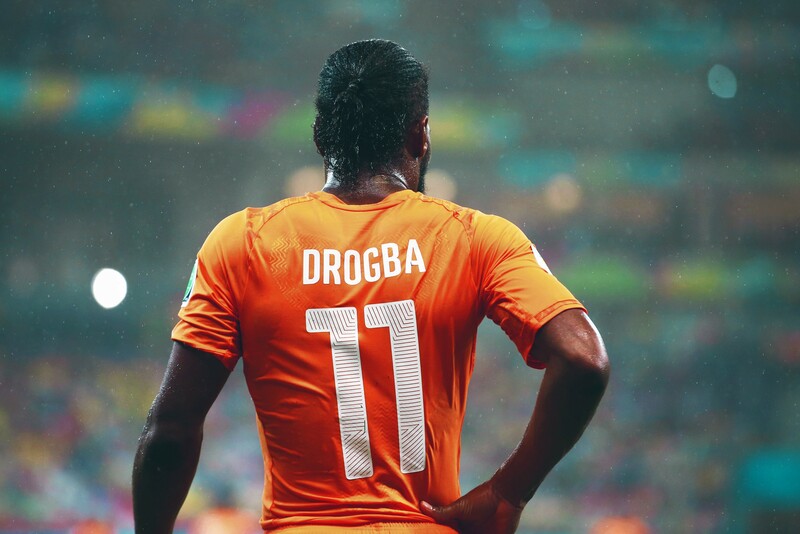 Football alone is clearly not sufficient to create a long-term peace, but Drogba’s actions reminded the warring factions that they both belonged to the same nation. Suddenly, there was something to build on. Two years later, with relations in the country still turbulent, Drogba used football to make another crucial intervention that did more to bring the civil war to an end than any other single event. Ivory Coast were due to host Madagascar in June, 2007, in a qualifier for the 2008 Cup of Nations; Les Éléphants topped their group and knew a win would put them in pole position to reach Ghana. Abidjan was the traditional home of the national side, but Drogba used his influence to persuade President Gbagbo to move the match to Bouaké, the rebel stronghold in the north. Even to this day, it is surprising that Gbagbo agreed. The then-62-year-old’s position was far from secure; his victory in 2000 was still viewed with extreme suspicion due to the episode of Ouattara’s exclusion, and he remained in power only because the elections scheduled for 2005 had been repeatedly postponed because of the ongoing disorder. While it is true that much of the belligerence had ceased by this point, Gbagbo’s willingness to allow the national team to play in Bouaké was an unexpected concession. The logic behind Drogba’s enthusiasm to bring Les Éléphants to the north was more comprehensible. The match provided an opportunity for national reconciliation, a chance to send a message to citizens from up and down the country that the Ivory Coast team represented them all. The stadium in Bouaké was even given government funds to relay the pitch and build a new roof beforehand, and it was clear that football was able to bring the two opposed territories together in a way that no politician or diplomat could ever do. Drogba’s power and might has troubled multitudinous centre-backs over the years, and many expected the national icon to use those same characteristics off the field to throw his name behind Gdabgo in the early 2000s. Instead, Ivory Coast’s foremost star remained silent on political issues, pleading only for calm and concord. His time in France as a youngster probably helped his objectivity in this regard; having lived so far away from his birthplace, Drogba was able to view Ivory Coast as a unified whole rather than a country with many internal subdivisions. The distance allowed Drogba to widen his horizons and escape the narrow ethnic prism that tended to dog Ivorian society. Drogba’s last public visit to Bouaké had been in 2006, when he showcased his recently-won African Player of the Year trophy to thousands of fans in the city centre. Before kick-off against Madagascar he made another presentation, this time a pair of boots to Guillaume Soro, the rebel leader who had been appointed Prime Minister two months previously as part of a peace deal. On the pitch, there was only ever going to be one winner. Ivory Coast blew Madagascar away, the 5-0 scoreline barely doing their dominance justice. Drogba added the final goal in the 90th minute, tapping into an empty net after rounding the goalkeeper with ease. Fans ran onto the grass to embrace their hero, breaking past the line of rebel troops acting as stewards for the night while higher up in the stands, government forces watched on. Both sides began to realise that they had more in common than they previously thought. The trouble was far from over and Ivory Coast plunged back into civil war in 2010, but that match in 2007 helped to show Ivorians the possibilities of peace, coexistence and a united future. The national team facilitated negotiations between rival factions, offering the first instance of peaceful reunification of north and south since the outbreak of the conflict. The process of disarmament began in the months following the game, while the buffer zone separating the two regions was scrapped and promises for elections were voiced and supported from all corners. A ballot was finally held in 2010, a decade on from Gdagbo’s controversial election. The UN and the Independent Electoral Commission recognised Outtara as the winner, but Gdagbo claimed that many northern votes were invalid and that he was in fact victorious. The country was again plunged into crisis as forces loyal to Outtara gained control of large swathes of Ivory Coast; Gbagbo was eventually arrested in Abidjan in April, 2011, and Outtara inaugurated a month later, but about 3000 Ivorians were killed in the violent struggle that followed the vote. Things have calmed since, and the President-Prime Minister system has been successful in guaranteeing executive representation of both the New Forces and nationalist groups. The Ivorian economy has picked up after the calamity of the previous decade and another presidential election is due in October of this year, with parliamentary ballots set to take place in 2016. Society remains fragmented at some levels, but the evolution towards a stable, democratic existence is well underway, and feelings of anger, resentment and alienation have cooled. Things had not been much better for Ivory’s Coast national team until they lifted the Africa Cup of Nations trophy in Equatorial Guinea. That triumph came after years of continually falling short: runners-up in 2012 and 2006, quarter-finalists in 2010 and 2013, and fourth place in 2008. The triumph was long-awaited, so much so that the likes of Drogba, Eboué and Didier Zokora – key members of the so-called golden generation – were not part of the squad. They may have failed to reach the World Cup knockout stages or lift the Cup of Nations title, but that team’s best moments came away from the football field. That collection of players – Muslim and Christian, northern and southern – provided a visible symbol of solidarity and amity at a time when Ivory Coast was split rigidly in half. Eleven men kicking a ball around cannot permanently fix a country’s problems, but the power of football cannot be underestimated. 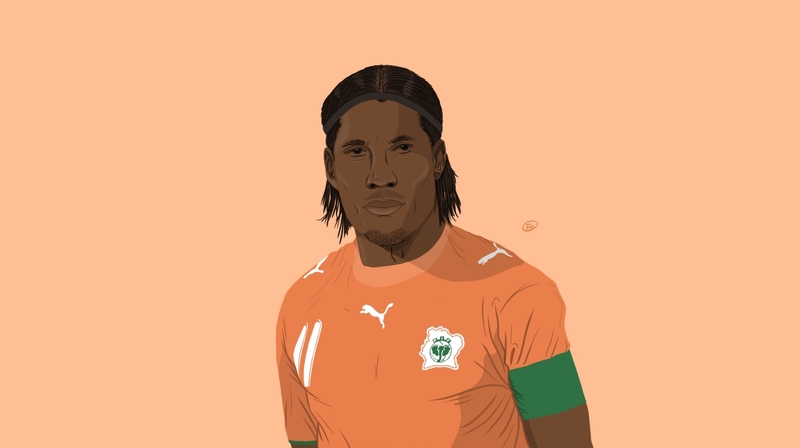 By picking up a microphone and addressing the nation, or using his personal influence to move a match to Bouaké and send a message to all Ivorians that the northern rebels were part of their country too, Didier Drogba brought together the warring regions and provided a cause that they could both unite in. 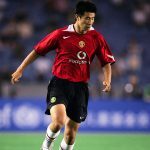 The 39-year-old striker has won four league titles, seven domestic cups and one Champions League in a career that has so far spanned 17 years. In terms of greatest achievements, though, helping to end his country’s civil war certainly takes some beating.